Travel in poetry of intimate, stirring, personal and unique insights, through time and cultures a passport that is universal and always. 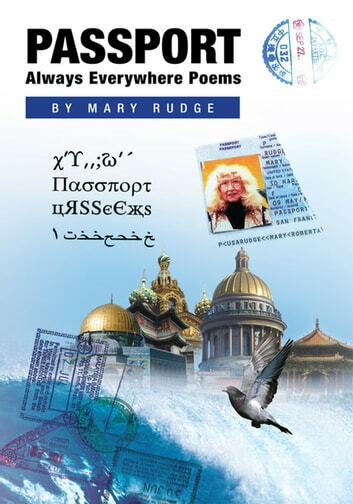 In a book like no other, International Poet Laureate, peace activist, educator, Mary Rudge, known world wide for her legendary travels on 5 continents as poet, speaker at global events, gives a kaleidoscopic view of the world. A significant, eclectic collection. Follow the poets ardent heart through a wide range of interest, from ancient China to Elvis, the Beats and The Doors. People everywhere will choose this book for pleasure and knowledge.